I interrupt the month of #ReadSherlock for a quick review of September. I will make this short and sweet, so we can get back to our regularly scheduled programming for my special month filled with all things Sherlock! 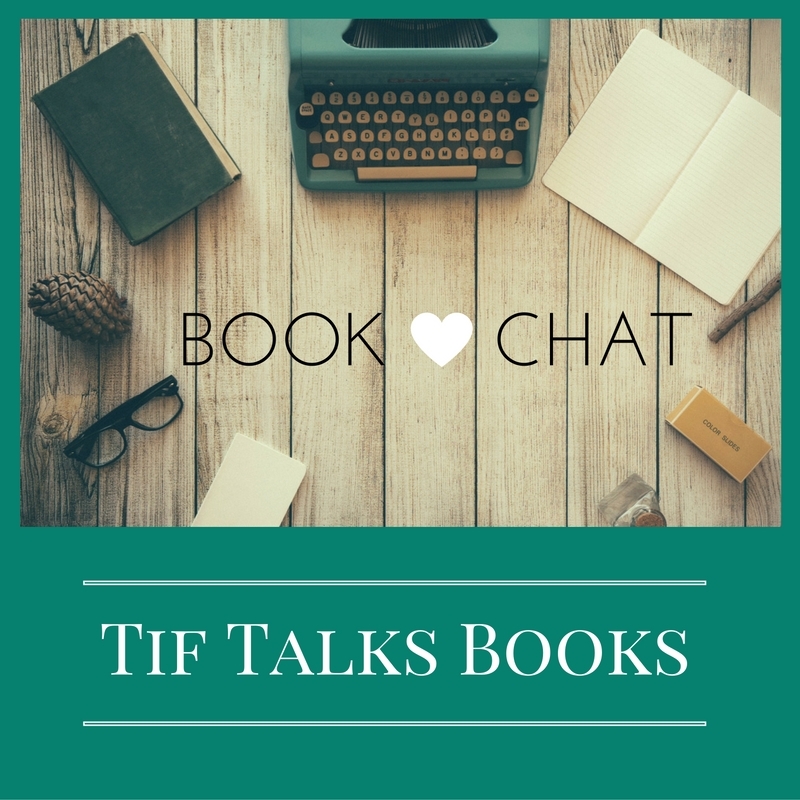 The TOP POST for the month was #30Authors Presents Sara Dobie Bauer on The Book Thief. No surprise that this one received both the most hits and the most comments. It was a fun one to read, and I am so thankful that I got to participate in the event for the third year in a row!! The TOP PIC for September was a HUGE accomplishment for me!! 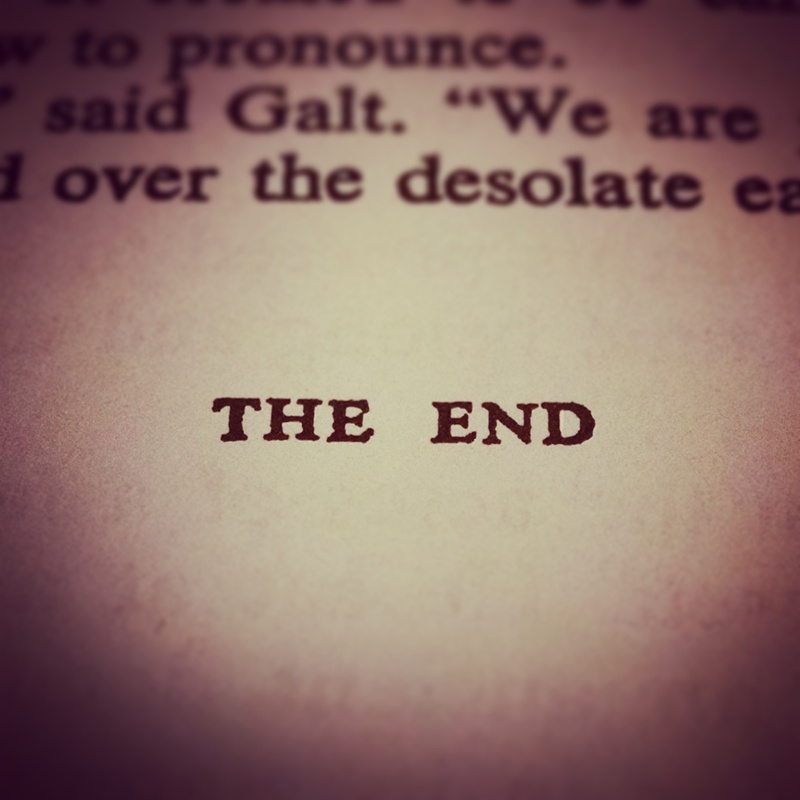 It was the proof that I finally finished Atlas Shrugged. I started reading this one in July 2015, and more than a year later alternating between print and audio, I finally completed this chunkster. Was it worth it? I haven't decided yet, but I am proud that I stuck with it for so long. Most months, I find it difficult to find a FAVORITE READ for the month. September is NOT one of those months. Hands down, my favorite read of the month was The Sugar Queen by Sarah Addison Allen. Her books are so magical and I have yet to find one that I didn't like. On the personal side, I was able to hold a garage sale as I had hoped. I was able to make major progress on renovating the office with the help of my amazing husband. I didn't get as much blogging, reading, and writing done as I had hoped, but I have made progress compared to previous months, so I will take it! What's happening in OCTOBER? In case you have not heard, I am hosting an event all month called Operation #ReadSherlock. We are reading, writing, chatting, and viewing Sherlock. Be sure to check out the link for all that has occurred so far. You can also view the schedule here and the Instagram challenge here. 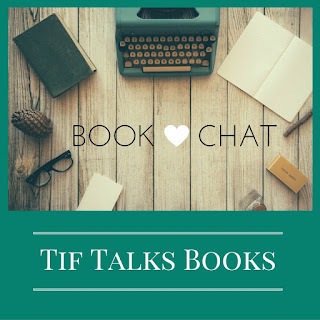 In addition to this fun, I am participating in the #FrightFall Readathon this week as well as Dewey's 24 Hour Readathon later in the month. I'm hoping with all of this combined, I will be able to make a good dent in the progress I need to catch up on my yearly reading challenge. Outside of the books, I plan to get my office completed and unpacked, and the most exciting news of all, to get started on the renovations for my library!! Oh, and I'm attending a concert at the end of the month and I can't wait! I'm feeling so good about what's to come!! How was your month of September, both in and out of the books? Do you have any big plans for October? My hubby loves Sherlock. I had no idea there was a reading event though. I Have Library of Souls but need to read Hollow City still. Sounds like a splendid month ahead of you. I can't wait for the read-a-thon. I didn't get to participate in April and missed it. You must show pics of your library when you're done. Jenny ... I will definitely share pictures. I will even try to share pictures through the whole process. I'm so excited for this. It will be perfect for the readathon, and maybe it will be ready for the one in April! 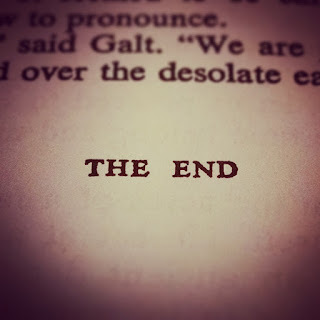 Congratulations on finally finishing Atlas Shrugged! I think I would have given up a long time ago, so good for you for sticking with it. Have fun with your Month of Sherlock! Alexia561 ... Thank you! Most books do not take me that long to get through, and I was determined to finish it! Kristen M. ... I'm hoping this room will eventually be my favorite place in the house. Right now, it is honestly the bane of my existence because it is all filled with boxes as we work on the other rooms in the house.